Saturday July 8, STEAMWorks had their first open house! This event featured members from ML256, who spoke about integrating their internet-enabled projects (IoT), as well as members from some other local organizations. This year’s pig roast was a great success! A huge thank you to everybody who cleaned the shop, served food, made food, and overall volunteered their time and effort to make this event run smoothly! I’ve always preferred to have plenty of space on top of and underneath my computer desk, so my last computer build worked toward that even though it was a bit bulky. Portability was also desirable for taking it to gaming events, but the bulk of my last system made that a challenge. 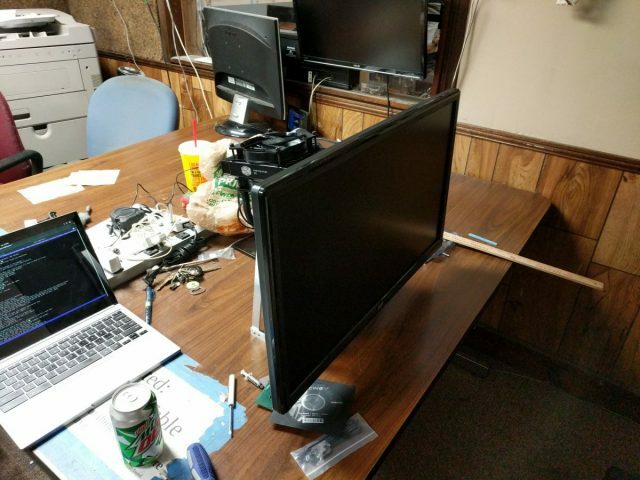 This new build takes it a step further and is essentially a home brew All-in-One system with the open system frame doubling as a VESA mount that will fit anything up to a 34″ monitor. 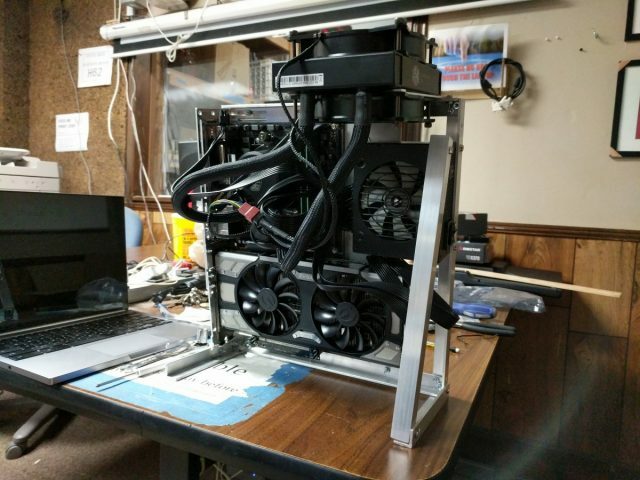 The system frame houses a mini-ITX motherboard, a small form factor power supply, and a full size graphics card along with a very hastily mounted closed loop liquid cooler for the CPU.